Thank you for buying an eBook. After you have returned from the PayPal website to The Geetar Book Shop you will land back on a page which looks like the next picture. 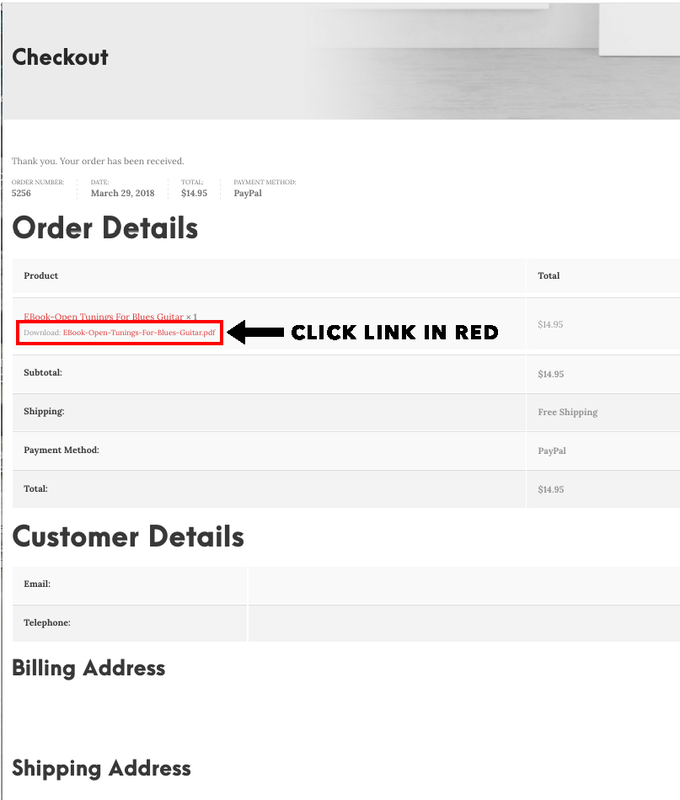 To start your download click on the link circled in red. When you have clicked the download link a box will open which looks like the next picture. First check the save file button. Then click OK to start the download to your computer. 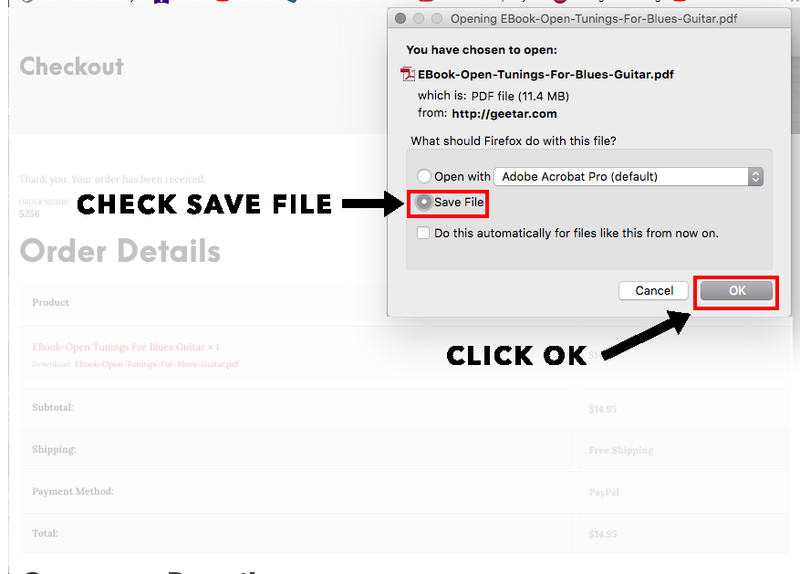 Your eBook will download into your Downloads Folder. If you accidentally leave the download page before you get your eBook don’t worry. 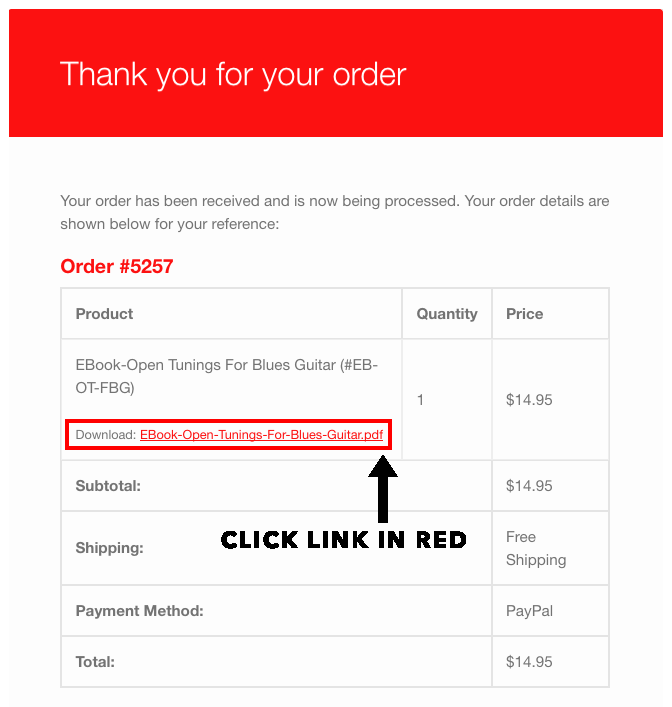 Go to your inbox and another link to your eBook will be sent to you with your invoice like the next picture. If you have any problems please contact us at info@geetar.com.